150 AND A TOP TEN! 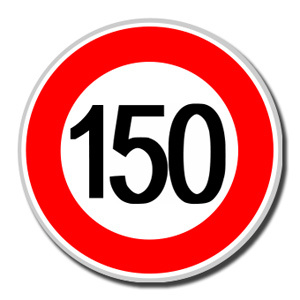 Amazing as it may seem, this is the 150th post here on the William Hope Hodgson Blog! It’s been a lot of work but I’m hopeful that people have found this site to be both enjoyable and informative. It’s not easy devoting an entire blog to the work and life of a writer that most people have never even heard of. There’s been a lot of times when I’ve wondered why I’m doing this and, more importantly, if it’s making any difference. Happily, I believe that it has! I’ve met many other Hodgson fans through this blog who have not only shared their knowledge but rare items, information, photos and many other things with me and the readers of this blog. I thank you all because you’re why we’re still here. 10. THE NIGHT LAND–Not surprising that this work ends up at the end of this list. Like many, I find it to be an amazing work of imagination that is seriously flawed by the style WHH used. Even after all this time, it remains an effort for me to get through this novel. 9. “The Baumoff Explosive”–Some don’t care for this odd short story but I find that it sticks with me long after reading. Although Hodgson wasn’t religious, he was certainly brought up in a very strict and religious household. Some of that comes out here as he attempts to create a scientific explanation for religious events. 8. “My Lady’s Jewels” (Captain Gault)–Ol’ Gault doesn’t get the respect or attention he deserves. Everyone seems to know Carnacki but few remember WHH’s smuggling Captain. I enjoy all these stories and pick this one because I believe it says much about Hodgson’s own views towards women. 6. THE BOATS OF THE ‘GLEN CARRIG’–To me, this is one of Hodgson’s weakest novels. It’s a good adventure yarn with lots of supernatural touches but, personally, I find it lacks a lot of the imaginative touches that appear in much of Hodgson’s other work. In some ways, part of it is cribbed from other WHH stories. 5. “The Whistling Room” (Carnacki)–Many of the Carnacki stories are uneven and suffer from an almost pathological inability to decide if they are horror or mystery stories. In this one, there is no doubt and Hodgson lays the the supernatural on thick. To my mind, this would be the hardest Carnacki story to film without it appearing inane. Still, if it could be done, it would be a great movie! 4. THE HOUSE ON THE BORDERLAND–You may be surprised at the ranking for this seminal novel. But, after all, this is a list of MY top ten faves and not meant to show their literary value. Few will argue the power of much of this novel and, here, Hodgson seems to have a better grasp of his style than in other works. The impression of the ‘outside’ forcing itself on the narrator is unmatchable by all save Lovecraft. 3. “The Hog” (Carnacki)–I used to debate the authenticity of this story until I received word from an impeachable source that it was definitely Hodgson and not August Derleth who wrote this tale. This is truly THE Carnacki tale. The longest of all the Carnacki stories, it is really the only one in which we feel that Carnacki is truly in danger. Combine this with the hideous ‘hog’ creature and the ‘outside’ forces and you have a story that deserves to be remembered. It is a shame that Lovecraft never read this story himself as there is much here that HPL would have identified with. 2. THE GHOST PIRATES–Yes, I admit it! GP is my favorite Hodgson novel and I’ve read it through many times. There’s just something about this that really appeals to me. Not only do we have WHH’s profound familiarity with sailing and the constantly oppressive atmosphere but it borders on science fiction with the explanation as to just what those Ghost Pirates actually are. 1. “The Voice in the Night”–NO matter how many times I read this story, it continues to have an amazing impact. If Hodgson is to be remembered for ONE story, it will be this one. The feeling of desperation and desolation is overwhelming and the story operates on several different layers which need to be studied in more depth. There’s even the wonderfully atmospheric Japanese film, MATANGO, that is based on the story and which, several people claim, is hideously close to the plot of GILLIGAN’S ISLAND! Well, there you have it. My TOP TEN WILLIAM HOPE HODGSON STORIES. I hope you’ve enjoyed this list and I look forward to hearing what YOUR Top Ten Favorites are! Thanks for supporting this blog and my meager attempts at trying to keep Hodgson’s work alive and encouraging further study of this incredibly interesting man and writer. 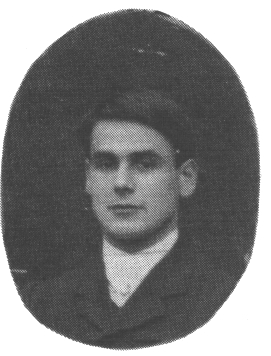 Today we present the final part of R. Alain Everts essay about the life of William Hope Hodgson. This section deals with WHH’s service in WWI and death. It is probably the most heartbreaking part of the entire essay as it recalls WHH’s service, death and aftermath. What is curious, to me, is WHH’s mother’s letter to her daughter (WHH’s sister) announcing his death. Full of heartache though it is, not once is WHH’s widow mentioned. I have often wondered about the relationship between Hodgson’s wife and family and, if this is anything to go on, it was obviously a strained one. Consider also that his widow soon went back to her own family after his death rather than staying with his. Still, upon Betty’s death, she did give WHH’s sister, Lissie, control over Hodgson’s literary estate. So, in the end, like all family relationships, it was complicated. At the beginning of World War I, Hope and Betty were still living in Sanary. In Europe, though, war clouds were gathering and finally on 28 June 1914, Archduke Francis Ferdinand was assassinated at Sarajevo, followed on 28 July by a declaration of war—Austro-Hungary against Serbia, Germany against Russia on 1 August and against France on 3 August—and the following day, England declared war on Germany. Hope hastened back to London shortly after being witness to the arrival of the first Indian contingent in France—Betty went off to Borth to stay with Lissie and Mrs. Hodgson. In London, Hope joined the Officer Training Corps of the University of London. 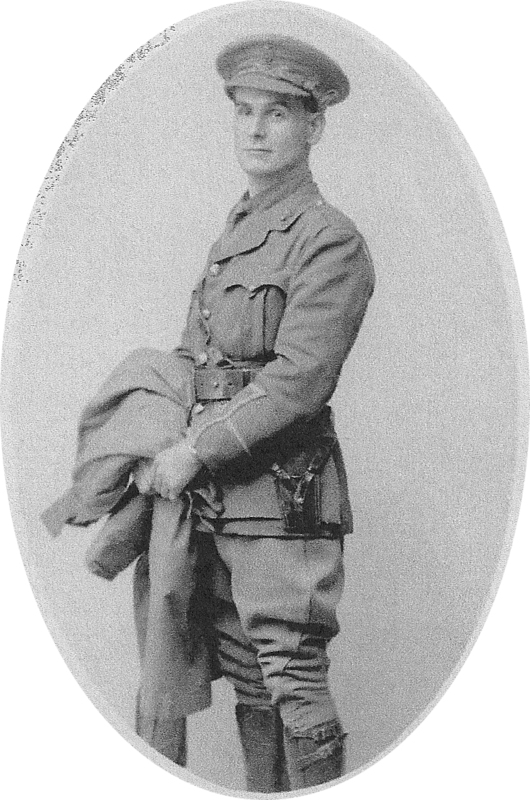 In July 1915 William Hope Hodgson, athletic but ageing, was commissioned to the rank of Lieutenant at the age of 37 years, 8 months, in the 171st Battery of the Royal Field Artillery, part of the New Army Division. Hope was sent to Salisbury Plain for maneuvering with large field pieces, and to train soldiers in the handling of the horses trained to pull field pieces. In June of 1916, Hope, an excellent horseman, was thrown accidentally from his horse and suffered a broken jaw and concussion, resulting in his being gazetted out of the army’s R.F.A.—and he was sent home to Borth to be with his family and Betty. He slowly mended and finally recovered—but for the rest of his brief life, he would suffer slightly from the effects of the concussion—and most likely his disorientation contributed to his tragic death. Hope had wanted very much to accompany his division to France. Attempting to re-enlist for active duty, he finally did succeed in passing the medical board, and on 18 March 1917, while the 171st fought at Ypres, Hope was recommissioned into the R.F.A., part of the 11th Brigade, and he first saw action at Ypres in October of 1917. The year 1917 was called “The Year of Confusion”—and justly so—the terrible price of the war had decimated most of Europe. According to the War Diary of the 84th Batter (1914-1919) Lt. W. Hope Hodgson, a subaltern, joined the 84th on 10 October 1917. That day the Battery had just captured Steenbeke, Poelcapelle and Widjen, and had that day relieved a forward battery south of Rugby Dump. The Battery took a position at Le Touquet Berthe. The Front was quite silent for a time—and for the first time there were no casualties in action. On 9 March the Germans attacked south of the Armentieres and penetrated allied lines for some distance and forced the British to move further north from Steenbeke. On the dawn of the follwing day, the Battery had undergone heavy night shelling and all communications were cut. The Germans advanced and the front section of the Battery had to retreat, leaving behind their guns, which they blew up. The Germans circled behind Hope’s Batter and approached to within 200 yards forcing the whole detachment to fall back. On the day of 10 April 1918, the Germans launched a big attach, and apparently this put Hodgson in hospital briefly. On the night of 16 April the Battery withdrew, and a Forward Observation Post was set up. The man who volunteered for the Forward Observing Office the next day—17 April—on Mont Kemmel, was none other than W. Hope Hodgson. The details surrounding the tragic death of Hope can now be clarified after nearly 55 years—and in clarifying them some errors regarding his death have been corrected. His Commanding Officer filled in the details—on Thursday, 18 April, he sent Hodgson with another N.C.O. on Forward Observation. On 19 April, Hope was heard from once and then there was silence from him for the remainder of the day. 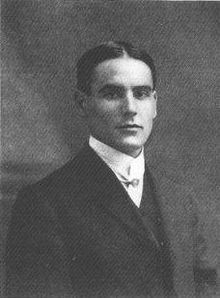 That day, 19 April, William Hope Hodgson was reported missing in action to his C.O. The following day, under continuous fire, the C.O. went to check himself to determine the fate of his F.O.O.’s. He eventually found a French officer who showed him a helmet with the name Lt. W. Hope Hodgson on it—and reported that a British Artillery Officer and a Signaler had suffered a direct hit by a German artillery shell on 19 April and had both been blown nearly completely apart. What little remained was buried on the spot—at the foot of the eastern slop of Mont Kemmel in Belgium. During this period, the C.O. was under continuous fire, and upon his return to base, he confirmed the death of Lt. W. Hope Hodgson, and it was entered on 23 April. The official report was forwarded to England, and most likely it specified that Hodgson was killed the previous week, since it was recorded on the official register in London, and the death certificate rolls, as 17 April. On 24 April the Germans attacked the right flank of the 84th Battery and the following day they launched another large attack. During all this confusion, it is not difficult to see how an error came to be made. In fact the C.O.’s memory for details after 55 years proves to be quite accurate, for on 17 April, no F.O.O.’s were sent out according to the official diary of the Brigade. My precious child, you must be brave as we are trying to be, But oh, we are heartbroken—my dearly beloved Hope, I cannot soften it, dearest, is dead. He was killed by a shell on April 17th, a week after he did so marvelously what I told you he did in the last (letter). You must be brave, my darling. Lissie is suffering dreadfully as you will know—she has had so much to do for and with him. Write her a word of comfort. 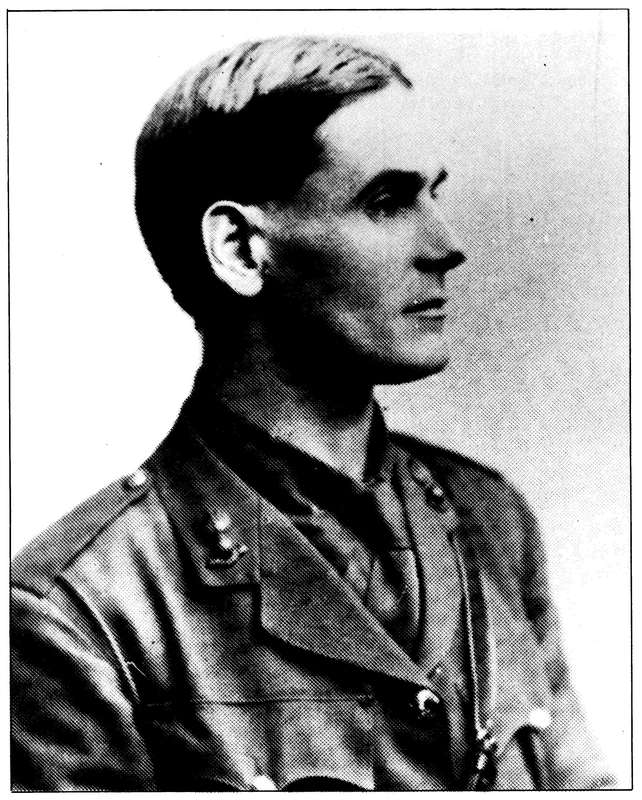 Second Lieutenant W. Hope Hodgson, RFA, killed in action on April 17, was the second son of the late Rev. 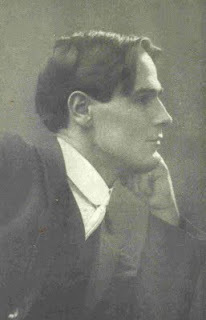 Samuel Hodgson, and the author of “The Boats of the ‘Glen Carrig’”, “The Night Land”, “Men of the Deep Waters” and other books. His early days were spent in the merchant service, where he gathered his material for many of his thrilling sea stories. 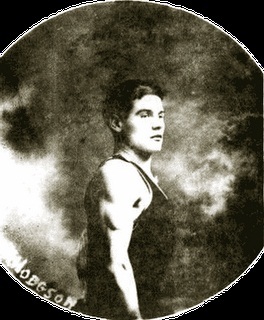 He was a notable athlete, a fine boxer, a strong swimmer, and an all-round good sportsman. He was awarded the Royal Humane Society’s medal for saving life at sea. At the outbreak of the war Lieutenant Hodgson was living in Sanary, on the south coast of France. He returned to England, joined the University of London Officer Training Corps. and got his commission in the RFA in 1915. As the result of a serious accident in camp, he was gazetted out of the Army in 1916; but he never rested until he passed the medical board as fit, and obtained another commission in March 1917, in the RFA. He saw much active service round Ypres during last October. Hope’s obituary notices appeared in many newspapers throughout the world—among them The Cambrian News; The Writer (Boston), which stated “He had a large reading public in America, and many of his short stories were published in the principle magazines of both America and England”; The Dominion (New Zealand); The Boston Evening Transcript; The Daily Dispatch; The Blackburn Weekly Telegraph, and others too numerous to mention. 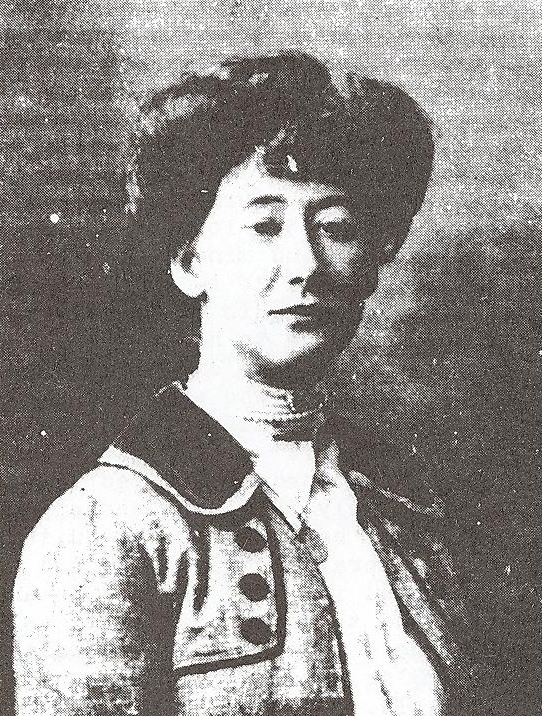 After the tragedy and the War, Hope’s mother and Lissie continued to reside in Broth, until the former’s death at age 81 on 25 April, 1933—long an invalid due to heart trouble and minor strokes, an illness that seemed to be inherent in the Hodgson family. This early hereditary incapacitation due to heart trouble of mainly the male members of the family seems to have spared Hope who was cut down before he could live to suffer the fate of most of his brothers. Betty returned to her people in Cheshire and on 23 July 1943, she passed away at the home of her sister, not quite 65 years old, of a brain tumor. 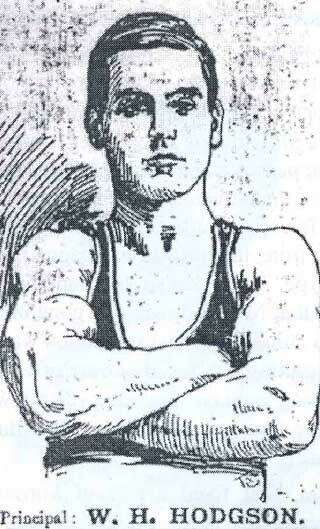 Chad had possibly been killed in World War I—in any case he dropped totally from sight, as did Hillyard, who disappeared in Australia during the 1920s. Save for Lissie, who died in Barnstaple, Devonshire, on 9 May 1959, the remaining family members lived in America and Canada and there they died, far from England’s soil, as their brother had died.